When I looked at the credits to check out the background singers there was Whitney Houston’s name listed along with Cissy Houston, Chaka, Mark Stevens, and Charlotte Crossley. If you listen to the jam now you can hear Whitney’s voice clearly. At that time she was 17 years old and I certainly didn’t know that she would rise to be the star that she became. What I did remember was how powerful they sounded belting out those backgrounds and how Whitney apparently took after Cissy with that voice. THAT’S RIGHT! ALL ON ONE ALBUM! Naturally that timeless piece of work shot Whitney straight to the moon with fame and instant success. Aretha Franklin is the Queen of Soul. From 1985-1995 Whitney Houston became the Queen of Pop. She did a lot of music, starred in movies and became a type of America’s sweetheart. 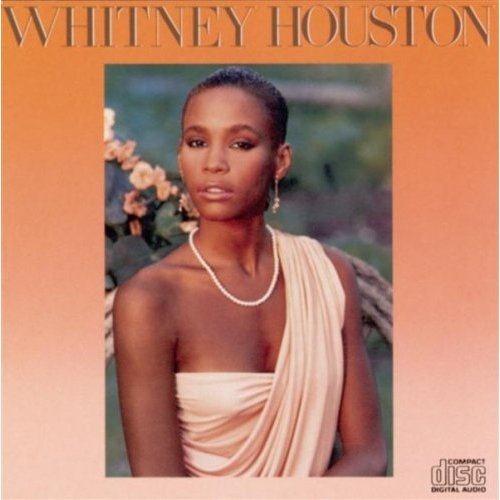 I graduated high school in 1985 so to a degree I came of age on Whitney’s music. She had that glamorous image because not only could she sing with thunder she could wear the hell out of an elegant evening dress. She had flawless skin, the perfect smile and seemed to carry herself like a woman of great power. And yet she still managed to give off this sense that she wasn’t untouchable. Of course we figure out later through a series of happenings starting with her relationship and marriage to bad boy Bobby Brown, that she was a rather down to earth diva. Hell it all made sense when you think about it. That’s why she was so comfortable to like and identify with to begin with. Turns out Whitney was an around the way girl. I’m not going to front. After that first album I wasn’t as enamored with Whitney’s career. I questioned her selection of music all the time. I can understand doing The Bodyguard stuff and evening the I Wanna Dance With Somebody pop songs. It was easy for her to get rich by making these easy hook sing-along cuts. Understandable. I also enjoyed the stuff from Waiting To Exhale. I disagreed with this vehemently. As far as I was concerned Whitney’s first set of hits mentioned above were not crossover hits. They were bona-fide R&B and the fact of the matter is, the music was so well done, the voice was so bold commanding attention, praise and respect that White people went to it. In other words, some artist don’t have to cross over. For the special ones the masses cross over to them! If that were not the case then people like Ray Charles wouldn’t have recorded country music. Ray was a musical icon. 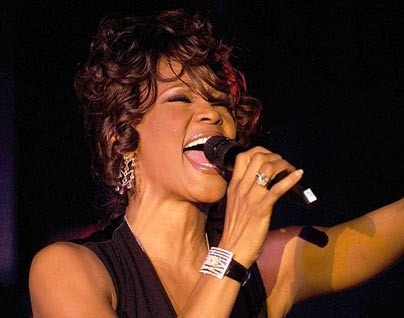 Whitney’s voice demanded that you listen. And even if one didn’t enjoy a certain genre’ initially, hearing Whitney sing different genre’s would do nothing more than educate people on what they didn’t know before. So as far as I’m concerned, Whitney Houston had a voice made of platinum that could make the birds follow her and she made a ton of money in her career. But I don’t think we the lovers of music at it’s artistic core with all of it’s imaginative glory got all that we could have. Losing Whitney hit so many of us in the gut. There were many who loved most all of her music. I’m still awed by what I witnessed over 25 years ago when she dropped her first. I’ll continue to miss that Whitney; that one we seemed to have lost long ago. Still I am grateful that I witnessed and lived to hear her sing. She was the voice straight outta heaven. And as long as I live, I will think of and remember that.